The International Olympic Committee is meeting in Kuala Lumpur this week to announce the host city for the 2022 Winter Olympics (Beijing beat Almaty) and review progress on its 2020 reform agenda among other issues. Pâquerette Girard Zappelli is the Chief Ethics and Compliance Officer of the International Olympic Committee (IOC) and also a member of the Expert Advisory Panel for Transparency International’s Corruption in Sport Initiative. Ahead of this meeting she discussed the ethics implications of the IOC’s Olympic Agenda 2020 reforms, what the IOC can and cannot do to encourage sports bodies to improve governance and what compliance advice she gives IOC members and bidding cities in the complex process of securing an Olympic Games. TI: What changes are likely to your role as head of ethics and compliance for the IOC following the Olympic Agenda 2020 reform process? Pâquerette Girard Zappelli: There are three reforms in Olympic Agenda 2020 directly related to ethics: it confirmed the importance of the Ethics Commission and its way of dealing with various cases since 1999 and it asked the Commission to review the Code of Ethics. These documents will be presented to the IOC Session in Kuala Lumpur (July 30-August 3). The third recommendation was the creation of a position of Ethics and Compliance Officer, which will be my new, enlarged mission. Recently hired colleagues within my team are concentrating on the integrity of the competition and clean athletes with the development of the Integrity Betting Intelligent System (IBIS) and the partnership with INTERPOL. TI: Will these reforms change the role of the Ethics Commission? PGZ: What is important is not only to have reform but to implement that reform. After the fallout from Salt Lake City the IOC reformed and produced a series of documents detailing those reforms. The Olympic Agenda 2020 process was basically a review of the strategy. Were the reforms in 1999 sufficient and is the mechanism in place since 1999 still valid? Effectively, the answer was yes. Nevertheless, it was recommended to strengthen the independence of the Ethics Commission by having the general Session and not the IOC Executive Board elect its members. (The IOC is made up of maximum 115 individual members who are volunteers and represent the Olympic movement in their countries). TI: What role does the Code of Ethics play at the IOC? PGZ: The Code of Ethics sets out the big pillars under which the IOC operates. The basic principles are: integrity, accountability and transparency. It covers the behaviour of people and also the integrity of the competitions and the bidding procedures. It encompasses good governance within sports organisations and regulates the use of Olympic resources, which means the money given back to sport by the IOC. These texts are reviewed on a regular basis. With regard to candidate cities, for example, after each candidature procedure there is a debriefing meeting involving all the candidate cities, including the winner and the losers. This debriefing influences the subsequent edition of the rules. TI: How can the IOC ensure good governance in sport? PGZ: The structure of sport is very complex. 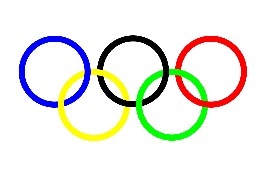 The IOC can influence a number of things but is limited in its jurisdiction. (The structure of the IOC is described here). It is important to remember that all organisations that are involved in the Olympic Movement – the International Federations and the National Olympic Committees – abide by the Olympic Charter and the principles of Olympism. One of those principles is that sport is autonomous but if sports organisations want to be autonomous they need to respect the basic principles of good governance. The IOC established its basic principles of good governance, which were approved in 2009. TI: So what can the IOC do to bring about better governance? PGZ The Olympic Charter refers to the International Federations’ autonomy in the administration of their sport; the link is a little stronger with the National Olympic Committees as the IOC has to approve their statutes. When someone at the head of an NOC is behaving in such a way that the reputation of Olympic sports can be damaged, the IOC can put pressure on the NOC. There were a number of problems with the organisation of boxing at the Olympic Games in Athens in 2004, and there was also a problem with the use of the money given by the IOC to the federation. The federation then had to undertake reforms. TI: What is your role in the bidding process for an Olympic Games? PGZ It is to ensure that the rules of conduct are well understood and applied so that there is a fair competition between the different bidding cities. For example, what we have to do is protect the IOC Members from the risk of extreme promotion. I answer a great number of questions from IOC Members and bidding cities about what is allowed and what is not (in terms of promotions). They know that they can ask questions rather than to be confronted with a problem in the future. There is a framework that is clear and when it is unclear we can discuss what is feasible or not, following the main idea that every candidate city needs to have a fair equivalent opportunity to promote themselves and be vetted by the IOC Members. TI: What are the main points that Olympic Agenda 2020 has changed for bidding cities? PGZ: The main principles of the Rules of Conduct for cities bidding for the Olympic Games 2024 are similar to those of previous procedures. The only real change is to ask consultants to confirm their personal commitment to respect the Rules of Conduct. Consultants are required to register with the IOC on www.olympic.org and the list is public so people know who is working for which city. They cannot work for two cities. It’s a question of transparency. More generally speaking changes already applying to the bidding process include the communication of the IOC’s contribution to the success of the Games – an overall estimated value of US$880 million for 2022 / US$1.5 billion for 2024, the publication of Host City Contract as well as new wording on non-discrimination relating to the Olympic Games and its participants – based on Fundamental Principle 6 of the Olympic Charter. Specifically for 2024, the bid process has been shaped more as an invitation and the evaluation of bid cities strengthened to more clearly highlight key opportunities and risks. Focus is also being put on reducing the cost of bidding and organising the Games and on sustainable legacies.